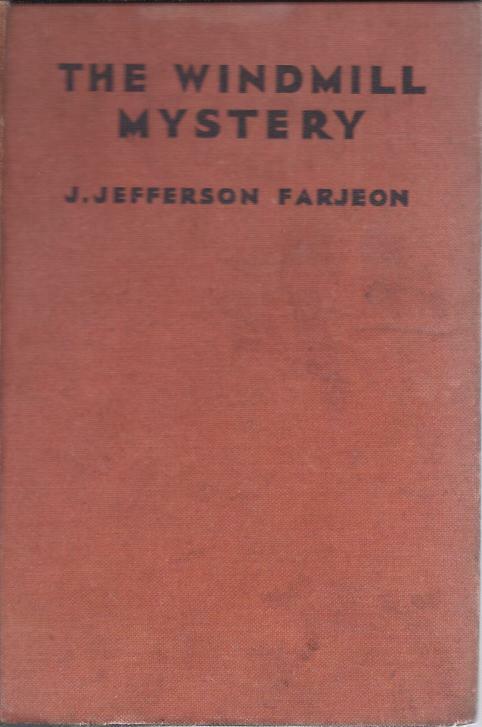 J. Jefferson Farjeon (the "J" stands for Joseph--Farjeon was named for his maternal grandfather, the famous American stage actor Joseph Jefferson, and was known as "Joe" to friends and family, even though readers knew him as Jefferson Farjeon) is one of those prolific Golden Age mystery writers who has fallen into almost total obscurity today--quite unjustly, I think. 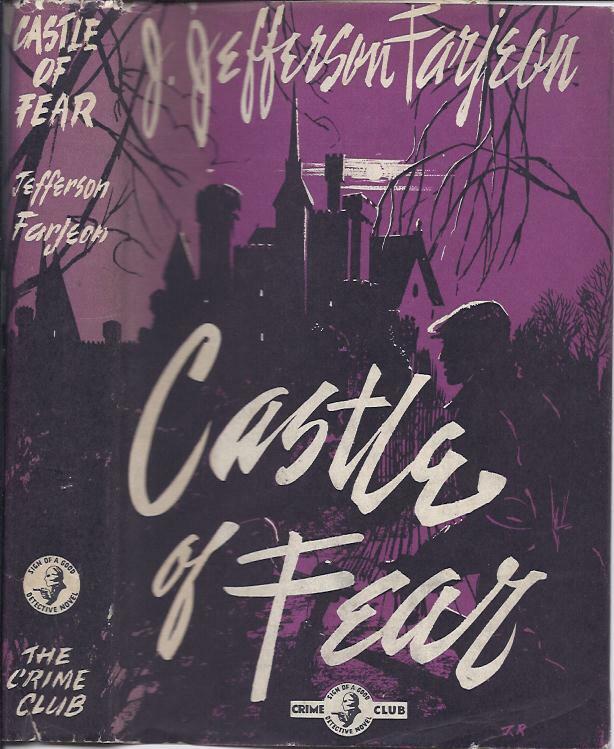 Between 1924 (The Master Criminal) and 1954 (Castle of Fear), Farjeon published by my count fifty-five adult mystery novels (including a few under the name Anthony Swift; he also published several children's mysteries). 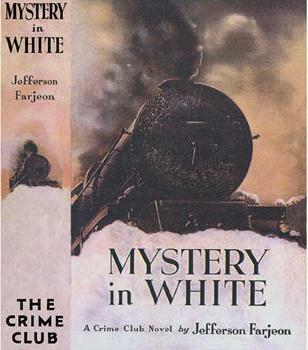 He achieved considerable popularity in both the United States and Great Britain, in the latter country becoming one of the staple authors of the Collins Crime Club from 1929 until his death; and he had the distinction, along with such authors as Josephine Tey, Ethel Lina White, Selwyn Jepson and Francis Beeding, of having one of his works, in his case the play (later novel) No. 17, made into an Alfred Hitchcock film. 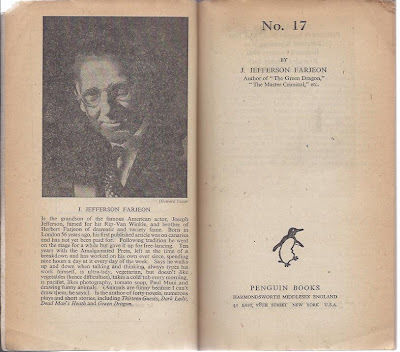 Farjeon is barely remembered today, except for the Hitchcock connection and for his being the brother of beloved children's writer Eleanor Farjeon (he was also the son of the accomplished Victorian novelist Benjamin Farjeon, but the father himself is pretty neglected these days as well). Why Farjeon should be so forgotten escapes me. 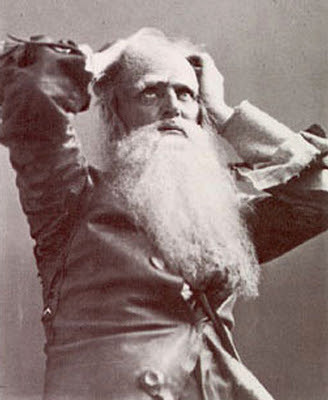 He was a popular writer in his day and received many good notices on both sides of the Atlantic. Granted, a number of his novels fall into a pattern, as one would expect from a prolific genre writer. And to be sure, Farjeon primarily wrote thrillers, but he was no slavish imitator of such bigger name thriller writers as Edgar Wallace, Sax Rohmer, Sapper and Sydney Horler (for one thing, Farjeon, whose father was a Jew, eschewed the antisemitism commonly found in English "shockers" at this time). 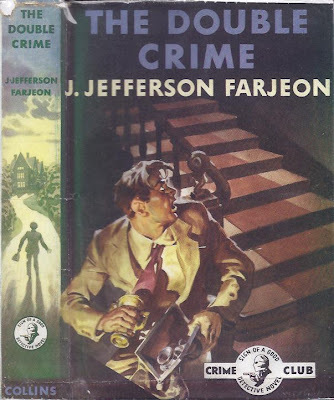 Joe Farjeon on the whole was a gentle and whimsical writer, giving his works their own distinct tone and style, closer, arguably, to the thrillers of Agatha Christie than those of the men. At heart, Farjeon's thrillers are tales of the empowerment of the weak and the meek, who confront fantastic adventures and dark menaces, but triumph in the end. 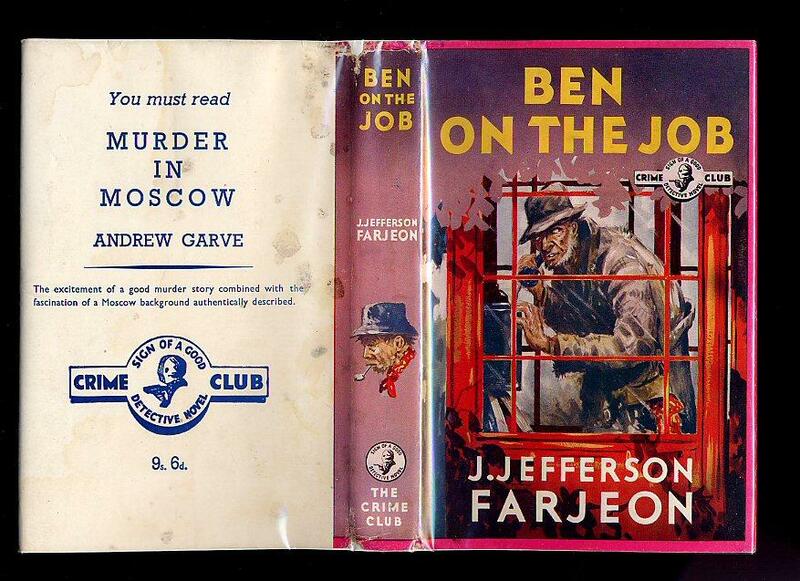 Not counting his series character, the downtrodden but resilient "passing tramp" Ben, Farjeon's protagonists often are male clerks or female secretaries, "little people" leading drab, harassed lives, and longing for adventure--something they definitely find in the course of the narratives! 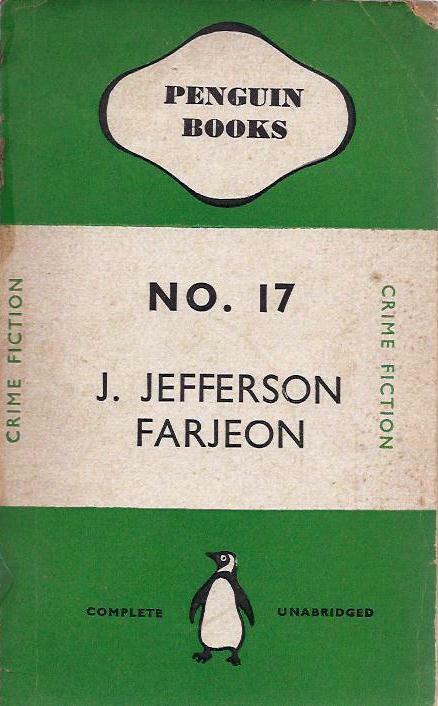 Farjeon is one Golden Age author disinclined to admire people simply because they have titles. 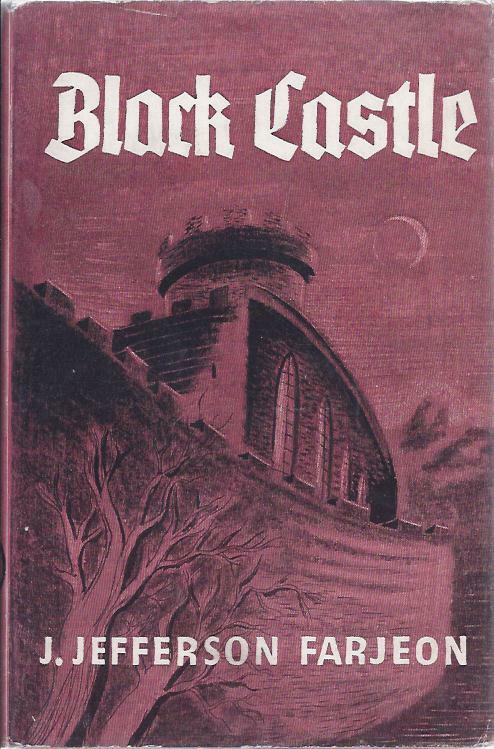 The windmill stood out dark and sinister against a background of angry cloud-castles that foretold the coming storm. Lionel Savage, pack on back, and all set for a week-end hike, glimpsed it from the little wayside railway station and decided it might prove a suitable objective. Crossing the heath, he met a charming girl, and when the storm broke they raced to the mill for shelter. It was the start of an amazing adventure which rapidly developed in a crescendo of excitement, until as one hair-rising incident succeeded another the two hikers found themselves involved in a sort of non-stop Grand Guignol of thrills. Now who can resist little wayside train stations and dark and sinister windmills? Admittedly, this is a pretty typical sort of plot for Farjeon (with a windmill rather than a house, inn or even castle). 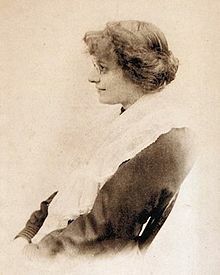 But Farjeon also wrote some unique books that emerged rather ahead of the rest of the pack. 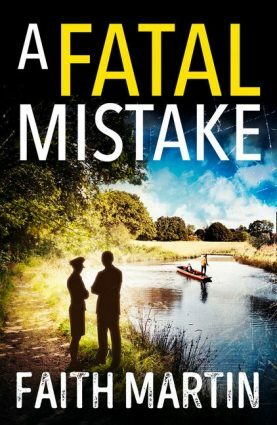 In this train mystery thriller the protagonist is a wonderfully-characterized child, an ingenuous young boy, and the book is written as if he himself had written it. 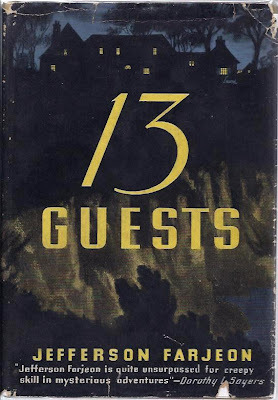 Farjeon's take on a full dress, traditional country house detective novel, impeccably done. 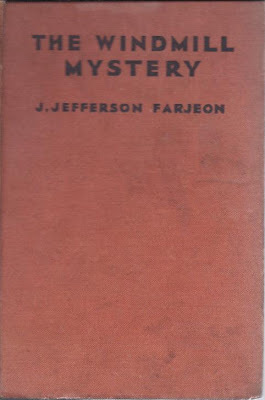 The dust jacket of the American edition, pictured below, below carries Dorothy L. Sayers assertion that "Jefferson Farjeon is quite unsurpassed for creepy skill in mysterious adventures." 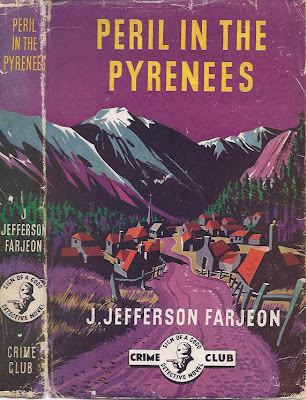 A remarkable and original work: the perilous adventures of a burned-out, extremely prolific thriller writer (Farjeon himself had published thirty thrillers in fifteen years at this time) and his lady secretary in a remote part of East Anglia; wonderfully self-referential about the genre and the setting is superb. 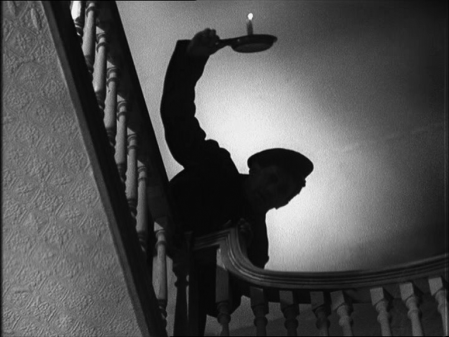 Reprinted as Death in the Inkwell (1942) in the United States, with a last page that can be read only with the use of a mirror! This tantalizing feature does not appear in the earlier British edition, evidently. 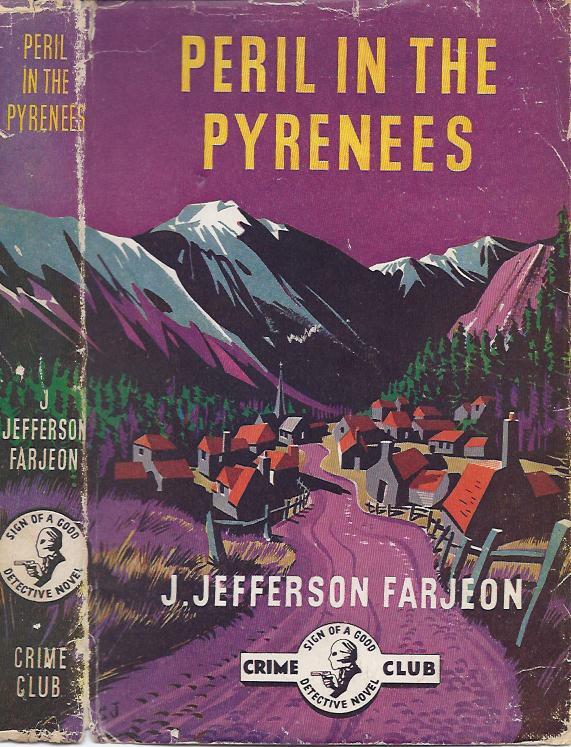 Willliam Lyon Phelps, former Lampson Professor of English Literature at Yale and a prominent public intellectual in the United States who was a great admirer of Farjeon, called this tale "a brilliant, original and very exciting murder story." In this one the protagonist is an elderly woman who, thrown into a nest of crooks, proves to have amazing resources of character to draw on and a positive genius for extemporizing. 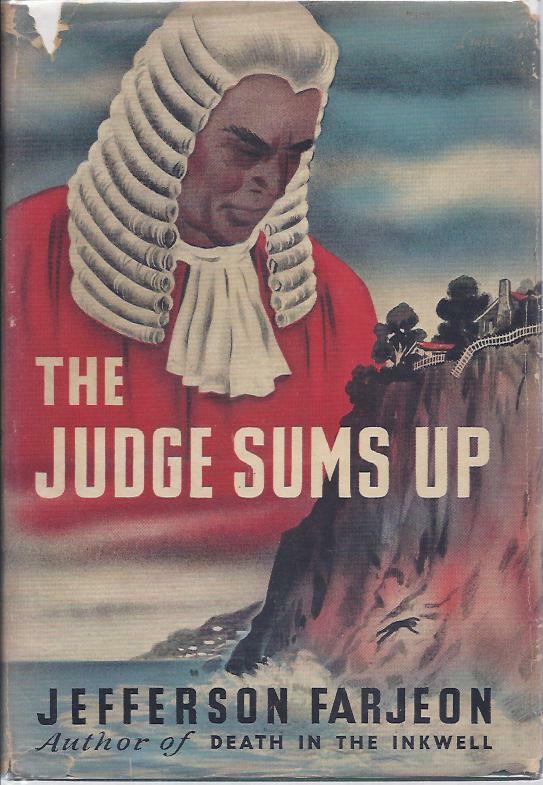 Farjeon's most successful attempt at a true detective novel and a forgotten courtroom classic. 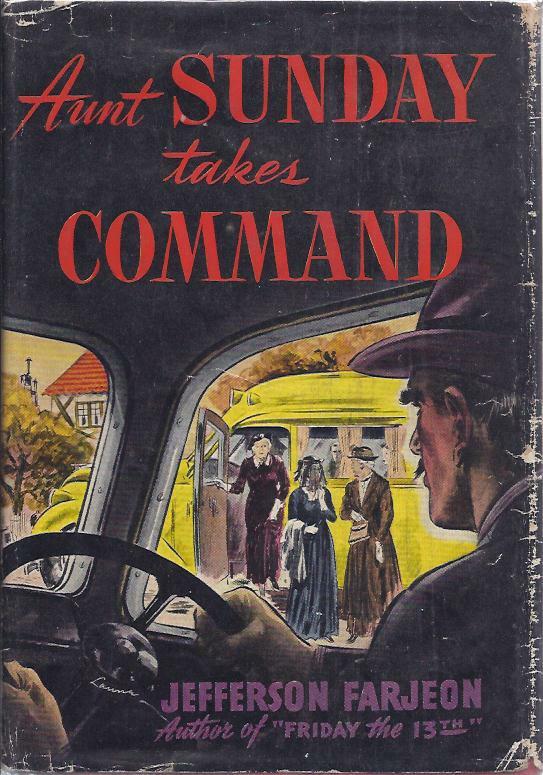 A final country house detective novel in the traditional style, except here one of the key narrative focal points is a down-at-his-heels, ex-lag, Cockney traveling salesman, sympathetically presented. 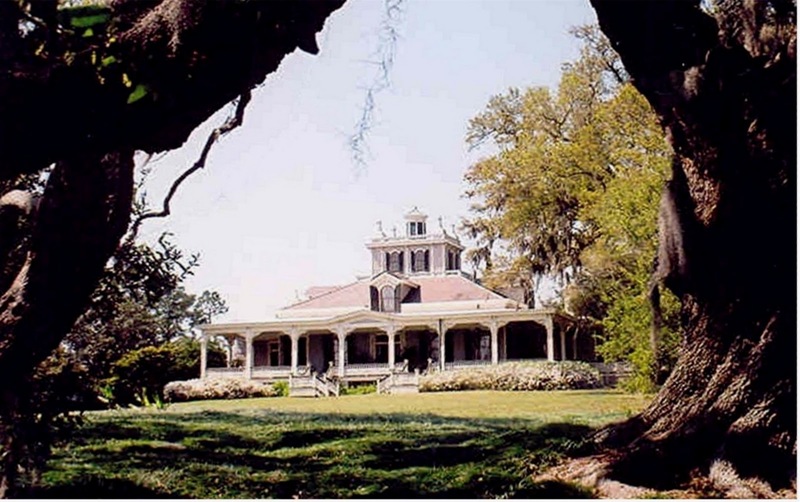 An interesting look is provided at mansion life on both sides of the baize door. Also worth noting is Farjeon's apocalyptic sci-fi novel, Death of a World (1948). Appalled by the carnage of World War Two and the Cold War atomic arms race that followed, a dismayed Farjeon produced what was by far his bleakest book. 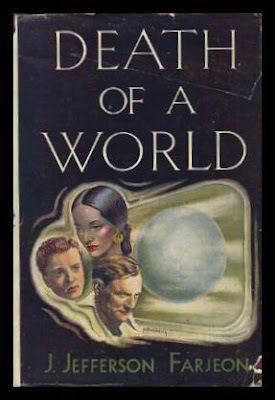 Some of Farjeon's post-war crime novels are darker as well, but none of them are remotely as grim as Death of a World, a genuine social protest novel by a Golden Age crime writer. He walks up and down when talking and thinking, always types his work himself, is ultra-tidy, vegetarian, but doesn't like vegetables (hence difficulties), takes a cold tub every morning, is pacifist, likes photography, tomato soup and drawing funny animals (Animals are funny because I can't draw them, he says). Crime thriller writers tend to cultivate tough guy (and these days tough gal) images. Not Mr. J. Jefferson Farjeon, who dared to be different. Read him yourself for something different (if you can find him!). OK, you managed to pique my interest with your short description of Holiday Express, because it impresses me as the kind of story a Detective Conan fan-boy, like me, might enjoy, however, no copies are easily available to me at the moment. But I can fairly easy get my covetous claws on a copy of The Third Victim. Is that one any good? TomCat, that Collins White Circle edition of The Third Victim has such tiny print I have never read it to this day. As I recall it involves a long lost scion of a gentry family returning to his country house after a quater century. Sounds traditional! 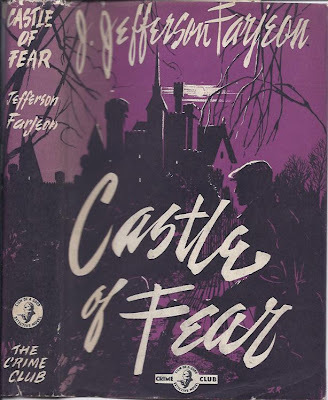 Farjeon once wrote that it sold well, but that he wasn't satisfied with it, preferring The Judge Sums Up and The House of Shadows, the two that followed it. Holiday Express is really cute, by the way. It comes complete with misspellings! 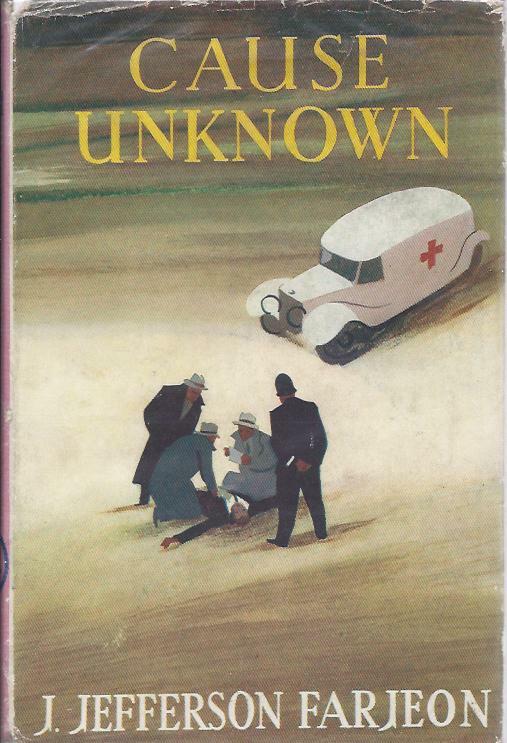 Farjeon does a brilliant job of assuming the mindset of his young protagonist. Would be great if scarce mysteries such as these were published in ebook format. 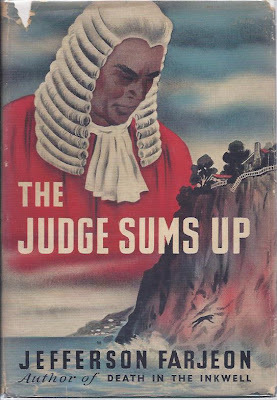 I can't even afford the few that were reissued by Penguin, let alone the 80-years-out-of-print hardbacks.